The Albert Hotel is a bed and breakfast nestled in the heart of Gloucester, Gloucestershire. Our accommodation boasts a bar, convenient access to local attractions, and a delicious, English breakfast served in our dining area. GET IN TOUCH today in Gloucester, Gloucestershire, to discover more about our bed and breakfast accommodation. 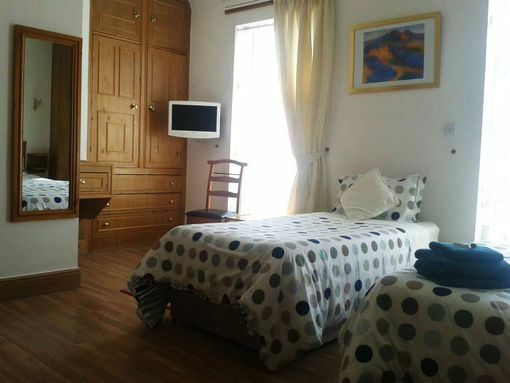 All of our rooms have double beds, and are available for single as well as double occupancy. Visiting with your family? We also have family rooms available with fridges and microwaves, providing a self-catering option, and all our rooms come with an en-suite for your privacy. Offering full breakfast with your night's stay, we have a full dining area for your comfort, together with a bar area should you wish to relax and have a drink before retiring for the night. If you’re a light sleeper, fret not as all of our windows are fully double-glazed. The Albert Hotel provides an excellent retreat in which to relax in after a busy day exploring or working, and ensures you a good night's sleep! Whether you're visiting Gloucester on pleasure or business, we provide excellent value for money. Working on a contract in Gloucester for a short time? Ask us about our commercial discounts for long stays. With rooms starting at £35 for single occupancy and sharing from £25 per person, give us a call to make your booking today!